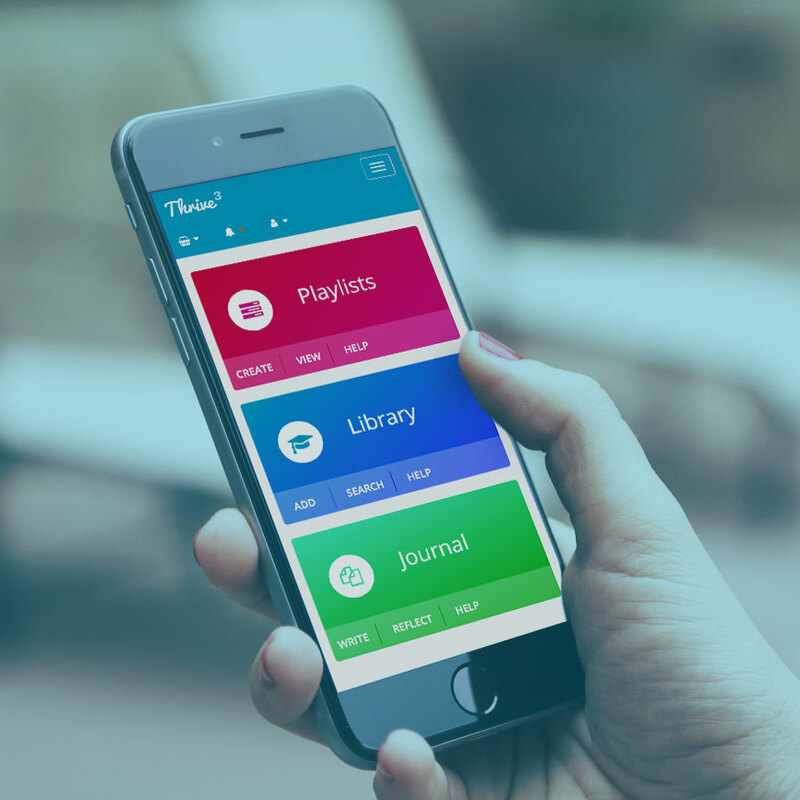 The World’s first Learning Playlist Platform. Delivering microlearning in the moment of need. Let’s face it, most people don’t want another eLearning module or more classroom training. Besides, businesses can’t afford the inefficiencies of these 20th century delivery models. Attention is a finite resource and yet we continue to invest in solutions that create a cognitive load. So much learning is wasted, forgotten before they leave the training room or exit the online module. There’s no evidence of workplace transfer because content is locked in an LMS. In their moment of need, they reach out to Google. A modern workplace where your people Thrive. 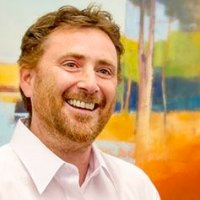 Suppose you created a Google equivalent – your own library of trusted and endorsed learning resources available in bite sized chunks. What if the workforce could rate these resources – think Trip Advisor without the hipster Barista and smashed avocado! And what if employees got kudos for sharing and creating knowledge resources, comments and likes from their peers – recognition rituals that help employees feel valued. Thrive supports all of this, just in time, just enough at the moment of performance need. 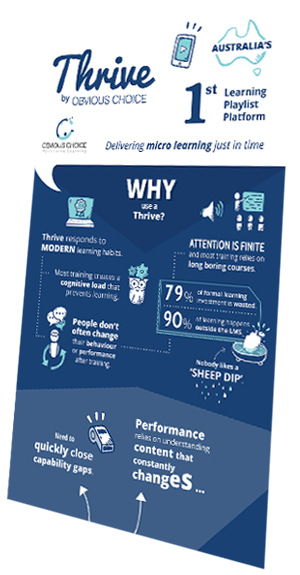 Discover why learning managers are moving to Thrive. Struggling to demonstrate the business impact of current learning initiatives? Consider what you need to support performance. Our creative learning team has put together an infographic to help you communicate the value of just in time learning enabled by a playlist platform. Our experienced team Thrives on your complex problems. Contact us to make it simple.